A person charged under Section 46 of the Army Act is guilty of disgraceful conduct of a “cruel, indecent or unnatural kind”. “The Army is conservative. We have not modernised, neither westernised," said Bipin Rawat. 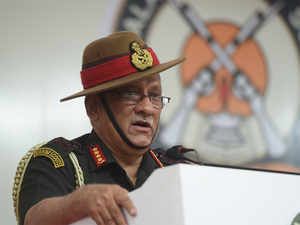 NEW DELHI: Homosexuality and adultery are unacceptable in the military, said Army chief General Bipin Rawat on Thursday, adding that the force is “conservative” and has not “modernised”. Although Rawat said that the Army is not above the country’s law, he explained that certain rights that are given to civilians cannot be applicable to the armed forces. This indicates the strong position taken by the defence services against homosexuality and adultery. The Supreme Court had in September 2018 decriminalised a part of the British-era Section 377 of the Indian Penal Code. Although it was a landmark ruling for the LGBT community, it didn’t lead to a change in the defence services which are governed by their own Acts and ban homosexuality, treating it as a punishable offence. A person charged under Section 46 of the Army Act is guilty of disgraceful conduct of a “cruel, indecent or unnatural kind”. It implies committing an offence under the Section 377 of the IPC. “The Army is conservative. We have not modernised, neither westernised. We can still take action against people, but we will not allow this to perpetrate in the Army. This cannot be allowed to happen. 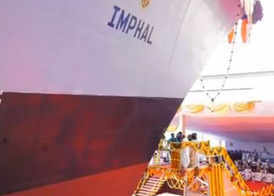 It is a very serious matter,” Rawat said.